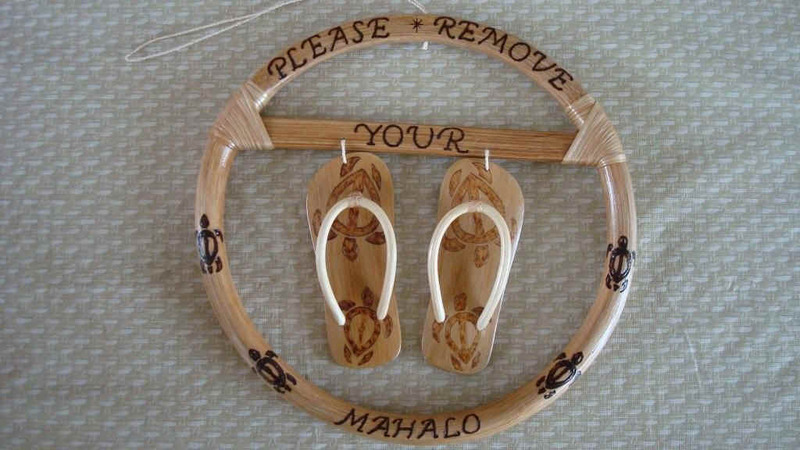 Hawaiian (Hawn) Wall and Door Plaques "Remove Your Shoes"
Hawn. 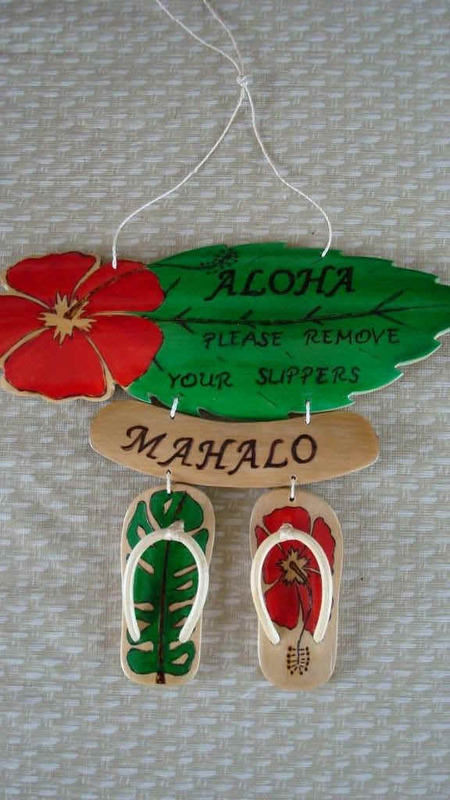 Wall and Door Tile Wall Hangings from Hawaii! 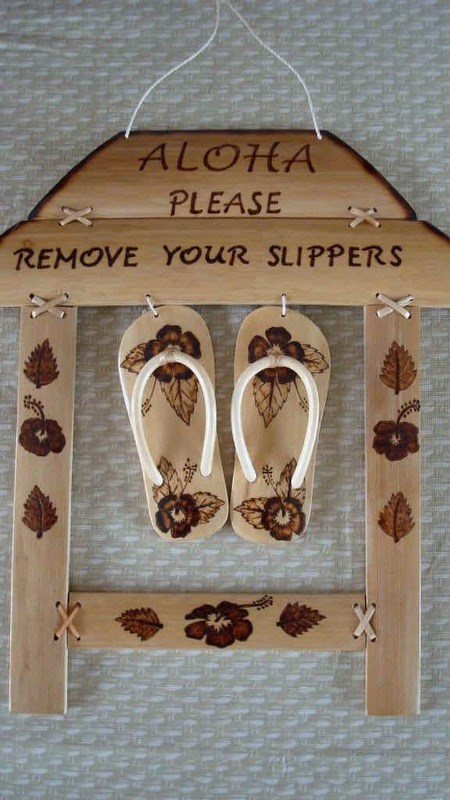 "Please Remove your Shoes" Door Hangings are just too cute. "God Bless our Home"